Dog owners everywhere have a universally shared concern –– their pet’s health. So if your dog needs medical attention, you’ll take all the necessary steps to get her the proper medication. But it’s not always so simple. Picture this: Your pup has been feeling under the weather. You take her to the vet, and the vet prescribes some oral medication. Now, at home, you prepare to give her the medicine and get her health back on track. That’s when things go wrong. Your dog won’t take the medicine: she spits it out when you try and feed it to her. She doesn’t know it’s for her own good, and you’re at your wit’s end trying to find a creative way to get her to take her medicine. If this scenario sounds familiar, not to worry, here are some tips on helping your furry BFF take her meds. If your pup is resisting oral medication, you’ll need a subtle approach. If you can conceal the medicine in her food, she will likely gobble it up happily without even knowing it’s there. But be careful not to give the game away. Make sure you prepare the food away from your dog, so she doesn’t see or hear you mixing in the medicine. Also, be sure to do this with potent-smelling food, preferably wet dog food, so she doesn’t sniff it out once she’s started eating. *Pro Tip: If you don’t have any wet dog food handy, try peanut butter, hot dogs, sausage or cheese (in reasonable amounts) as alternatives. Grab two regular dog treats and the prescribed pill. 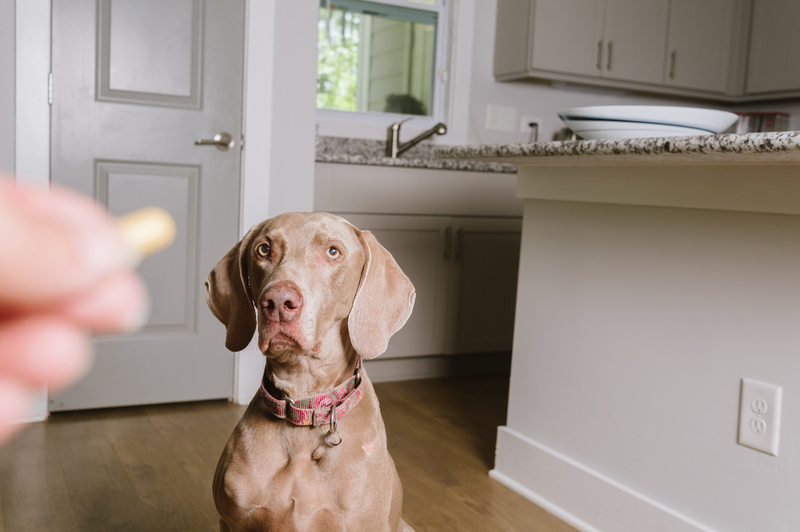 Show your dog the regular treats in your hand. Once your dog sits or does her trick, give her one regular treat. When you’re going to feed her a second treat, slip in the pill as a decoy treat. Repeat one more time with a regular treat. If it helps, coat the medicine in peanut butter to help mask the smell and taste. Dogs, like humans, are social creatures. So why not involve other dogs to help persuade a sick dog to take her medicine? If you are a multi-canine household, call all your pups to come get a treat. Slip in the pill to the sick dog while you feed your other dogs regular treats. In the excitement of the moment, she may not even notice. Pet health is of utmost importance and should never be taken lightly. If you’re still struggling to get your dog to take her medicine, or if your dog experiences further health complications, call your vet right away.